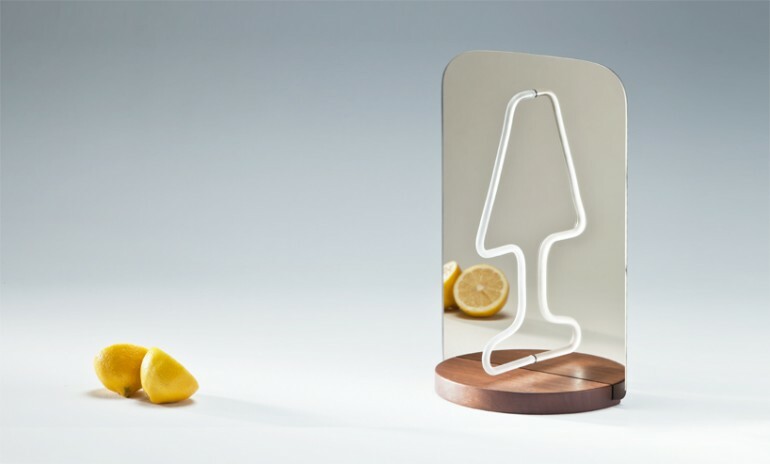 Moitie is an iconic table lamp that takes advantage of its own reflection as a key part of the design. It looks like a whole lamp when actually, the real object is just half of the lamp. 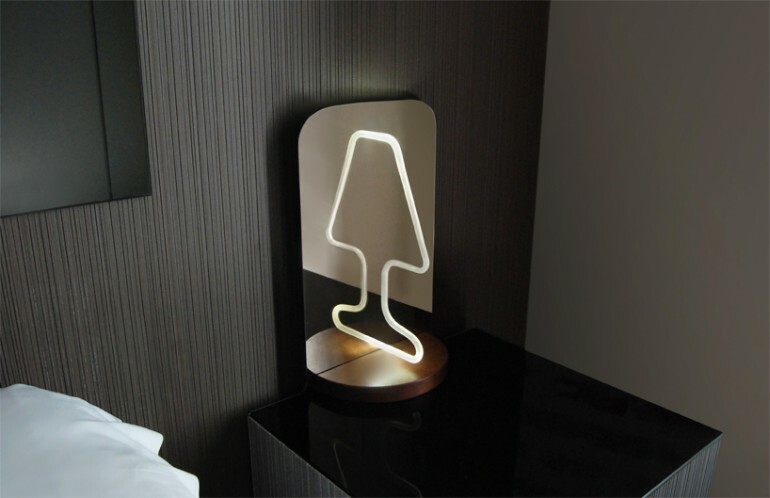 It features dynamic aspect because depending on the angle of view, the appearance of the lamp varies, creating a full shape from the half silhouette. 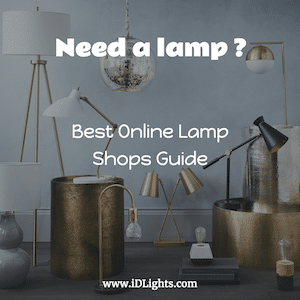 We tested different options until we got a common table lamp shape that everyone can recognize. 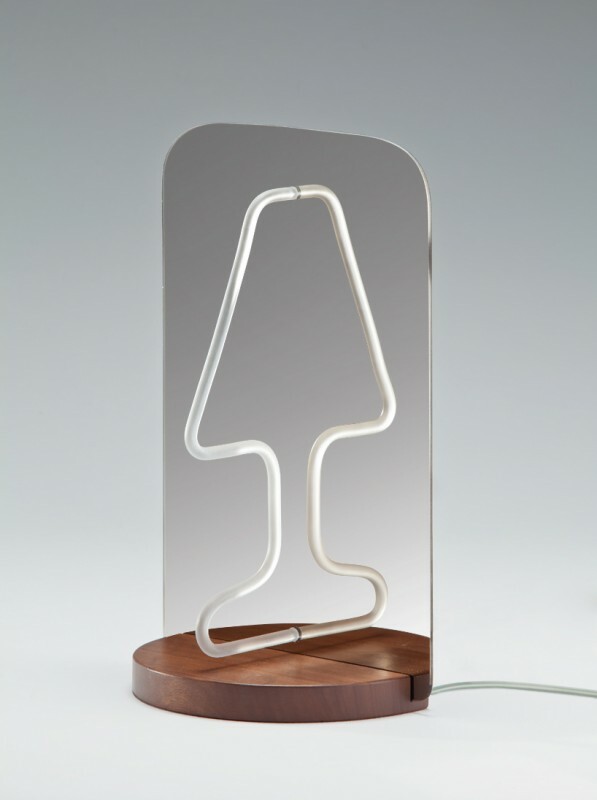 This concept lamp consists of 3 components: a half cylinder wooden base, a mirror with built-in light source at the back, and opalescent tube that diffuses the light. All these components can be assembled easily, making this project appropriate for a flat packaging.